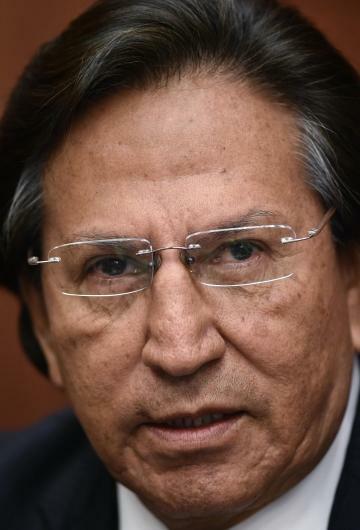 Former Peruvian president Alejandro Toledo, who is facing extradition from the United States over corruption charges, was briefly jailed for public intoxication after getting drunk in a California restaurant, local police said Monday. Toledo, 73, was arrested at the eatery near Palo Alto on Sunday, and spent the night in a cell before being freed early Monday, San Mateo County Sheriff's Office spokeswoman Rosemerry Blankswade told AFP. Toledo is wanted in Peru over allegations he received $20 million in bribes from Brazilian construction Odebrecht, as part of a wide ranging corruption scandal implicating high-level politicians in Peru and beyond. But Blankswade confirmed Toledo, who led Peru from 2001 to 2016, would not be extradited following his arrest. And the Peruvian Foreign Ministry confirmed the arrest had "nothing to do with the ongoing extradition process."